Dread taking your child for a haircut? Well thanks to Tatì, you can kiss goodbye to the days when you used to drag a screaming child to the hairdressers or restrain them while they wriggled in your arms in an attempt to flee from a bemused looking hairdresser. Tatì is every child's dream. 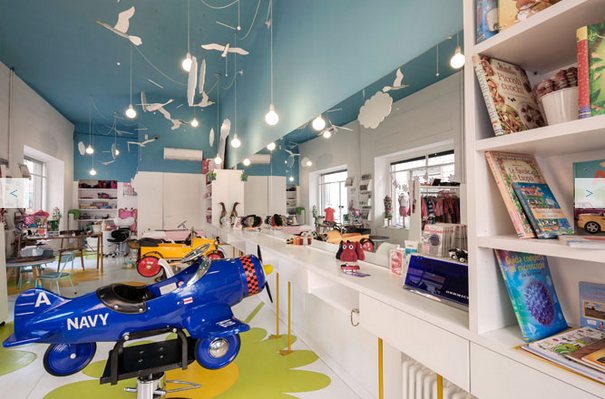 Hairdresser chairs have been replaced with airplanes and cars to make each haircut a childhood adventure. Tatì also organises beauty parties for little ones: a blow-dry, manicure, pedicure and alchol free bubbles make a perfect birthday treat for your little treasures. So as not to forget those poor mothers, every Wednesday and Thursday from 7pm to 9pm, Tatì offers mothers a cut, blow-dry, manicure and/or pedicure (with OPI varnishes) and a ayurvedic scalp massage as well as a glass of bubbles. 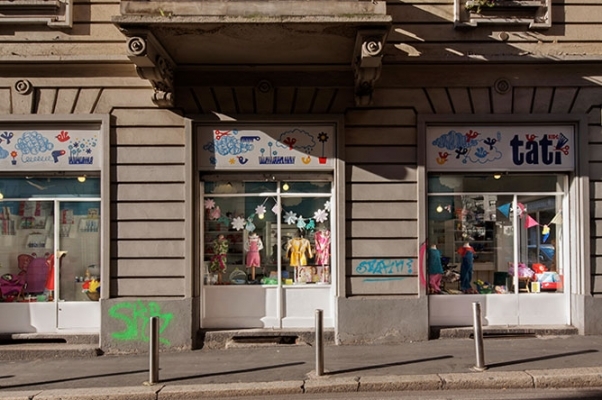 Tatì also sells children's clothes, accessories and carefully selected foreign and Italian books and games. Tatì is a open every day including Sundays! What are you waiting for?